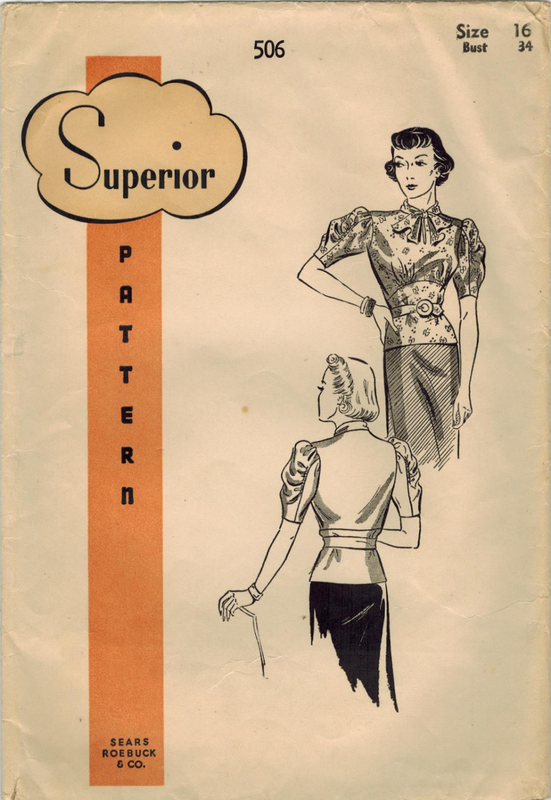 The Clipping: Found in the pattern was this 1950s clipping of a page from a Sears, Roebuck & Co. catalog. 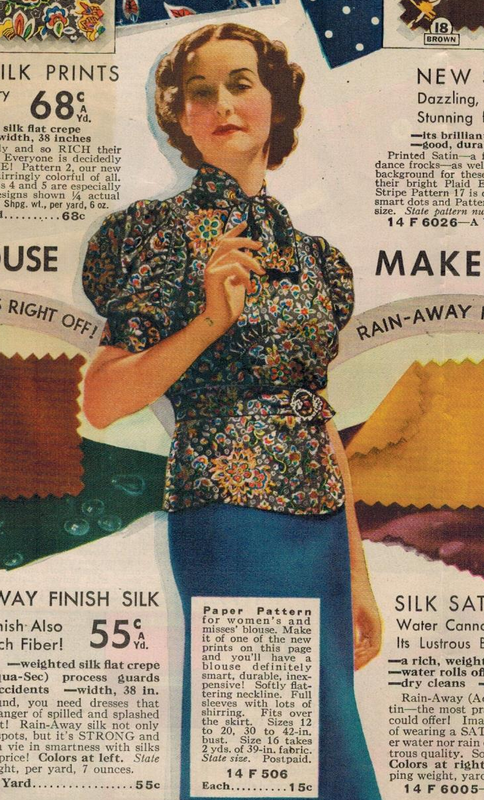 In the midst of all the different fabrics is this lovely blouse which you could order from Sears. 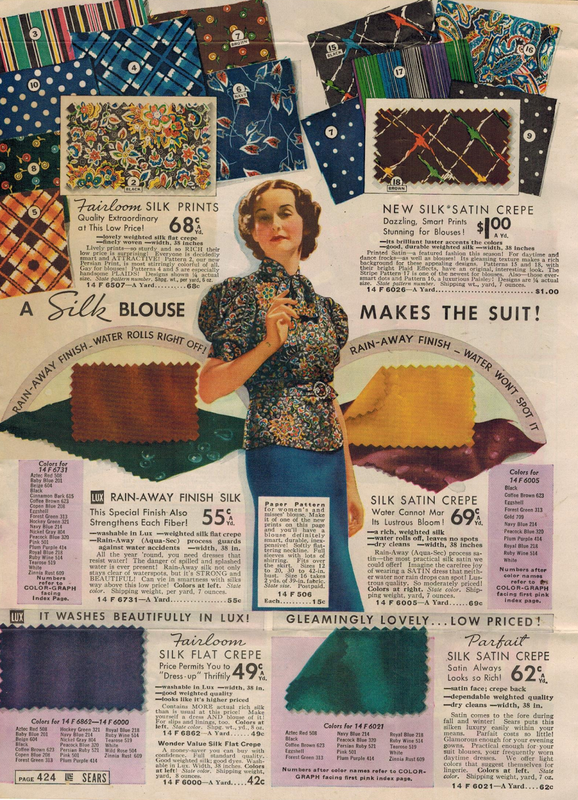 "A Silk Blouse Makes the Suit" the ad proclaims. And doesn't the model look simply the essence of sophistication? The overblouse features a softly flattering neckline with a tie collar, 3-piece puffy elbow-length sleeves with lots of shirring, and a self-fabric belt. 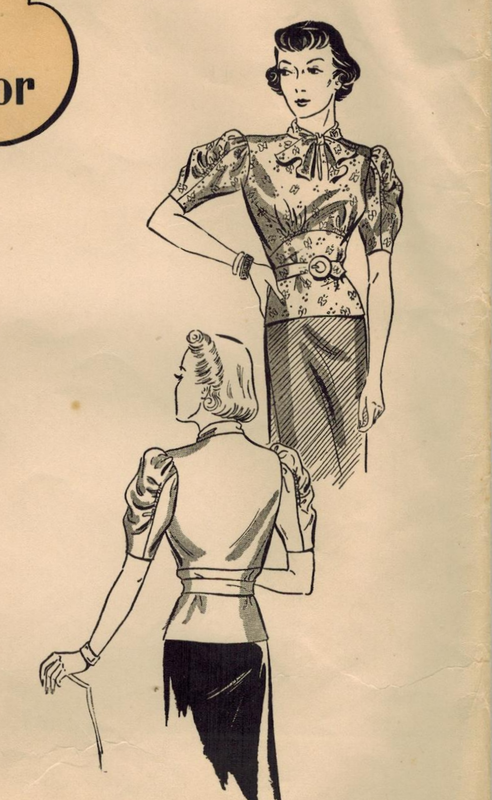 I love that contoured front midriff. It's inspiring fashion! What do you think? Did she order the fabric from Sears too?